If you're like us, you hate loud screeching alarm clocks. 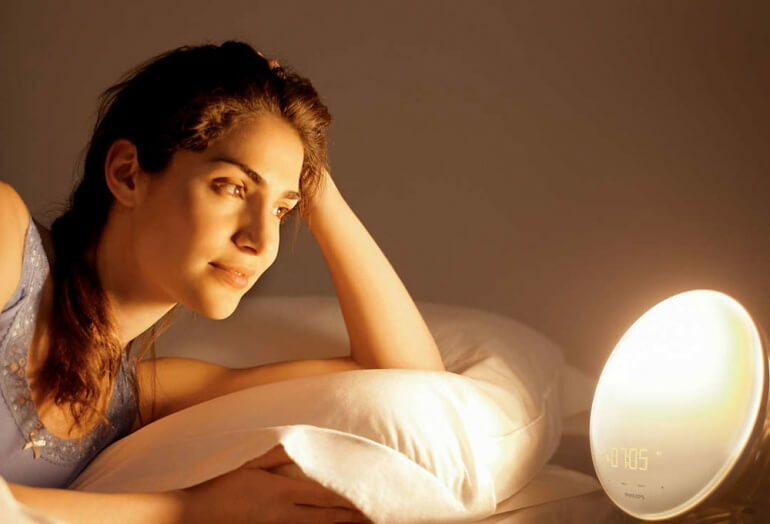 This wake-up light is the perfect solution. Wake up gradually with a sunrise-simulating illumination and gentle sounds. 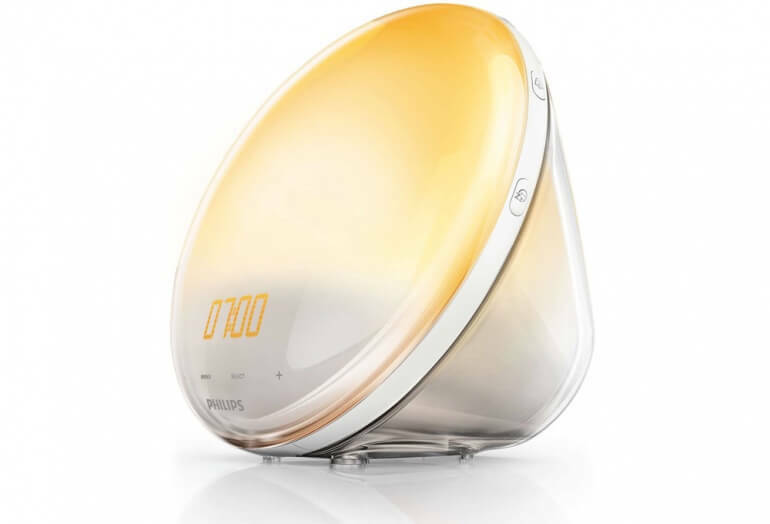 The HF3520 is the top-of-the-line in Wake-up lights from Philips. 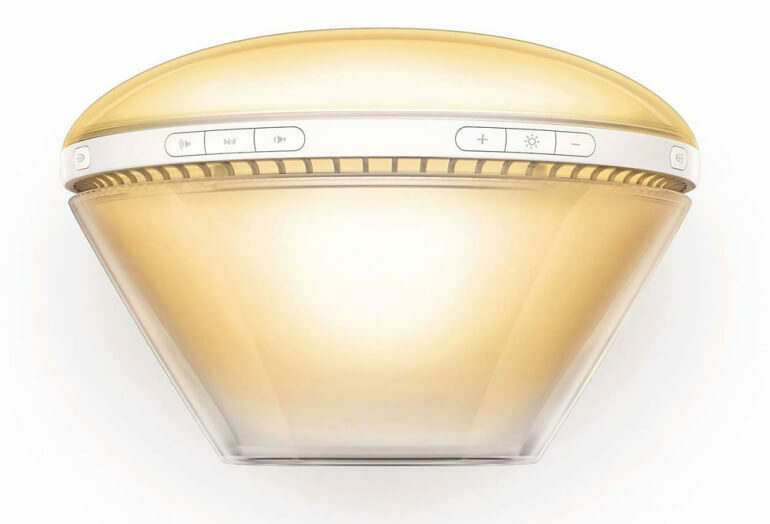 This LED light gently wakes you up in the morning through a 20-40 minute, adjustable sunrise illumination. Accompanying the gradually increasing, colored light sequence are any of your choice of 5 natural sounds. 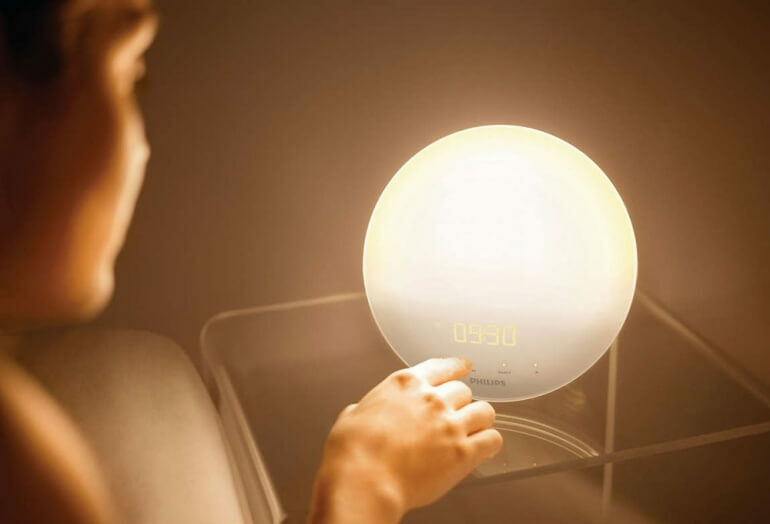 The unit features a smart snooze by simply tapping anywhere on the light. You can also use this product to help you back to sleep at night using a sunset simulation. The feedback for this light is universally positive. Research has shown that 92% of people who used this light found it easier to get out of bed. 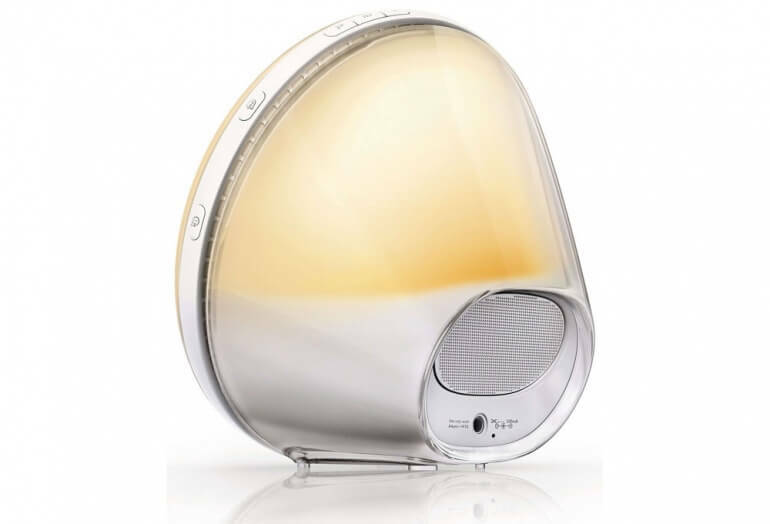 Philips has also done scientific research to back their product. Independent scientific studies conclude that using the wake-up light helps you wake up more naturally while providing improved mood and energy each morning. Be sure to couple this light with a sleep monitoring application to measure the benefits!